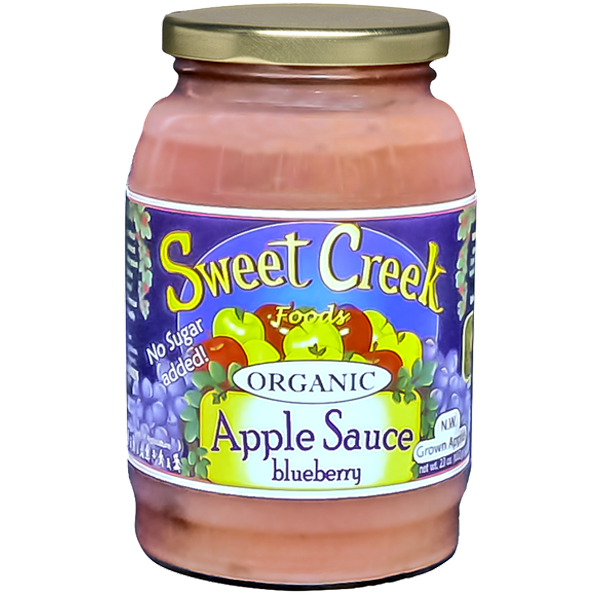 Our applesauces are made from the nest ripe, plump Northwest apples and blueberries. 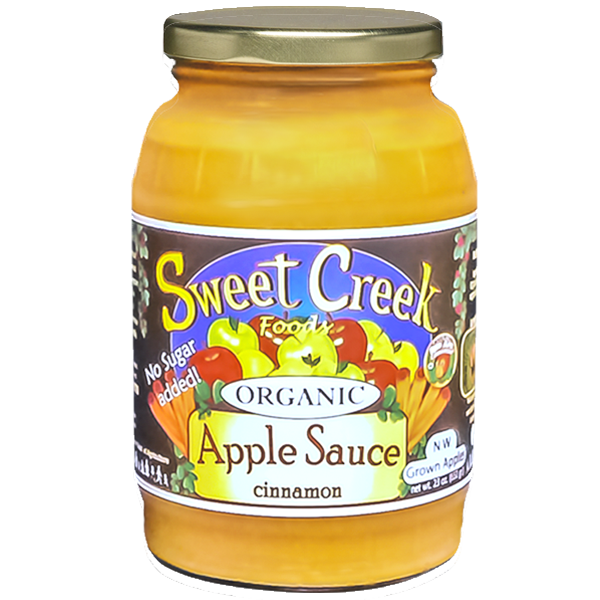 No sugar is added to our applesauce because no sugar is needed when the apples are sweet and delicious! We use Red Ape cassia cinnamon in our cinnamon apple and ripe Northwest blueberries in the apple blueberry sauce. 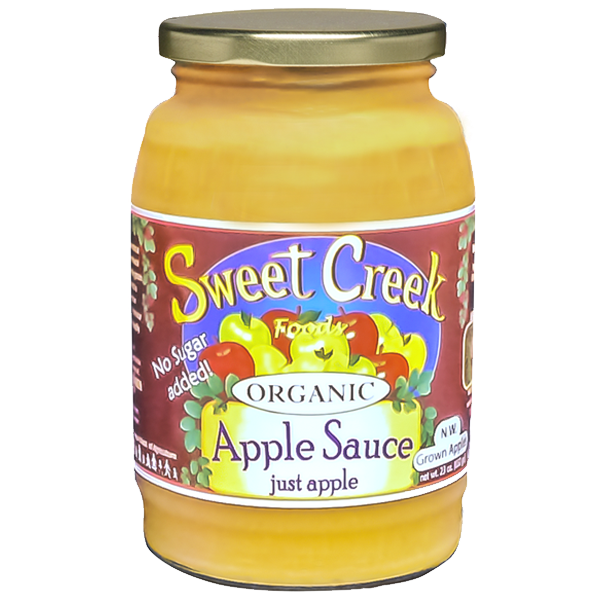 This wonderful northwest applesauce contains nothing but the ripest apples in the northwest. A blend of northwest apple varietals make this a family treat around the breakfast table. The sweet aroma and flavor of Red Ape cassia cinnamon is a real treat is this spiced Applesauce. Tame even the unruliest break- fast or feast with this wonderful treat. Cassia cinnamon is a special variety of cinnamon that partakes a sweet flavor into any dish. Other cinnamon can be bitter or dry tasting. Not Cassia cinnamon it is light, u y and full of that sweet cinnamon flavor that we all crave. Enjoy! Blueberry applesauce, need we say more! This is the best. Whole blueberries mixed in with northwest grown organic apples. Guaranteed to put a smile on the grumpiest of faces.